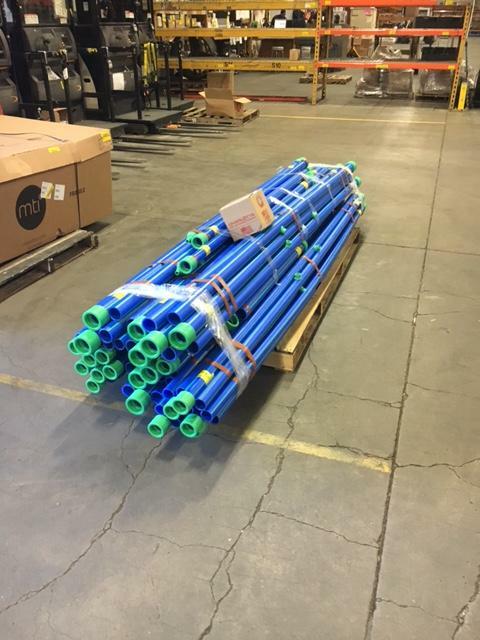 "Aquatherm is a plastic, but don’t even consider equating it to something like PVC or CPVC. It doesn’t even compare to those pipes. It’s in a class of its own." 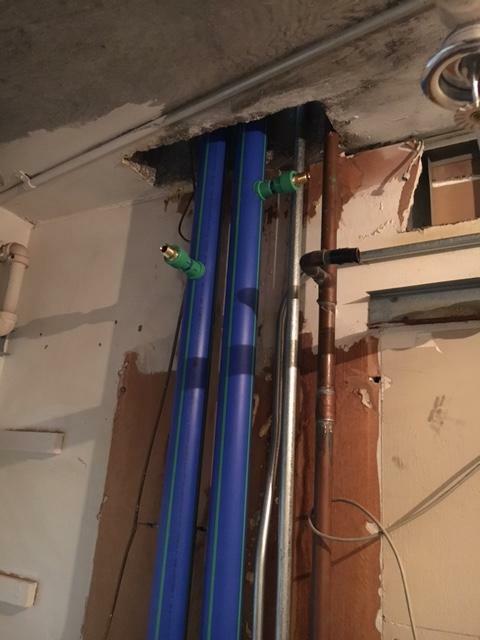 As might be expected in a half-century old building, the challenges with the HVAC system ran deeper than just the piping. Foremost among the other issues was that the old two-pipe fan-coil system was struggling to keep up with the cooling demand during Atlanta’s hot summers. 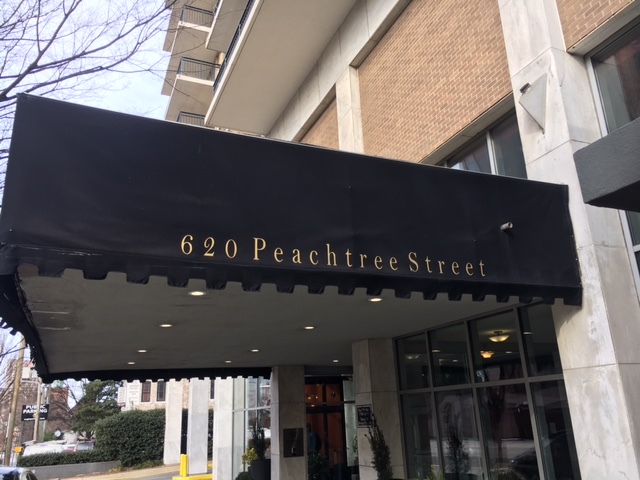 So when the money for an HVAC system upgrade was allotted, it was decided that a new system of water-source heat pumps – sized to handle the building’s 500- to 600-ton cooling demand – would replace the old fan-coil system that had been sized for a 300-ton demand. Escher pointed out that he also researched the pipe using more sophisticated methods, but he does not discount the value of the hammer-and nail test. At the Windsor Over Peachtree project, more than 6,000 ft of Aquatherm Blue Pipe® SDR-11 ranging in size from ½-in. to 4-in. 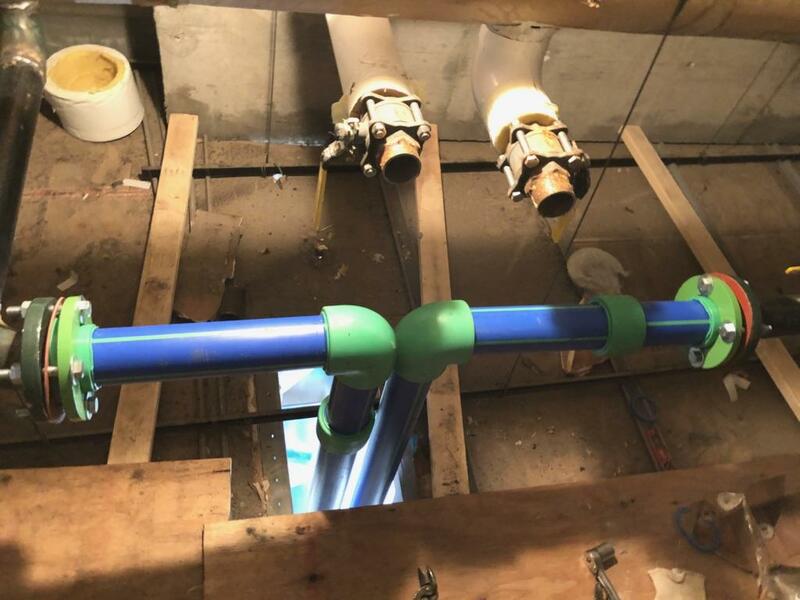 was installed, along with new Raypak boilers, Evapco cooling towers, Bell & Gossett pumps, and JCI-branded Water Furnace water-source heat pumps. In addition, Escher said, having the fabrication done offsite allowed his company to use its shop personnel in the field. 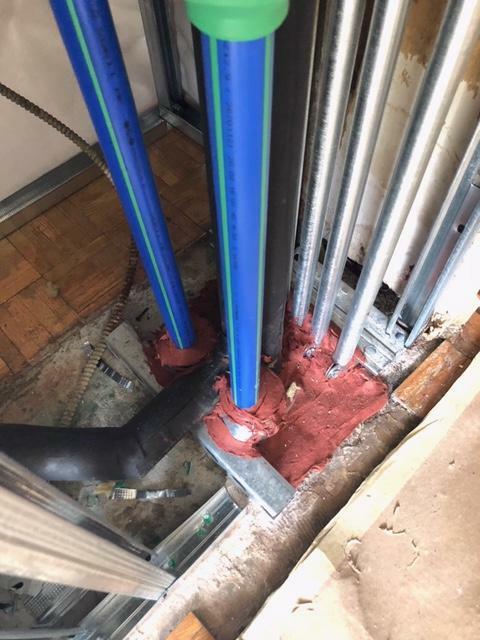 The installation and onsite heat fusions were performed by Escher’s team using McElroy irons and McElroy Spider® 125 Chain Clamps, which allowed heat fusions to be performed in the tight quarters of the blockouts.